When in combat you must post details of any Jutsu used in that post at the bottom. There is an exception for Genjutsu providing you follow certain rules, as stated in the 'Systems' Forum, under 'Genjutsu ~ Illusionary Arts'. 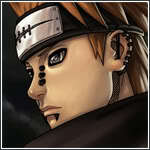 You can only ever use Jutsu you know prior to the battle. 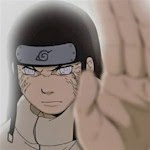 Jutsu learned during the thread will not be allowed for use by you or anyone else. Dieing is not uncommon and happens from time to time. The shinobi world is dangerous and you are advised to be careful. Avoiding certain death is considered God Modding. Individuals who are temporarily away from the site can not be killed until they return, and are able to properly defend themselves. -For three weeks after your character is approved, you may only have D rank techniques, and all new C rank techniques you gain after that must be trained. All members may participate in up to a number of three active Roleplaying threads running at the same time. Only two of these can ever be an action based thread or mission-intentions. While they may exist simultaneously they must cover separate time periods and not contradict one another. At no times should you be at two places at once or be in one country one moment another the next. This is to allow people to train or socialize while involved in other threads that may or may not be moving as fast as they might like. Character death in one thread may invalidate the other.